The iconic bookstore is subtly marketing its role as a Poke Stop, trying to avoid looking like a latecomer to a meme. 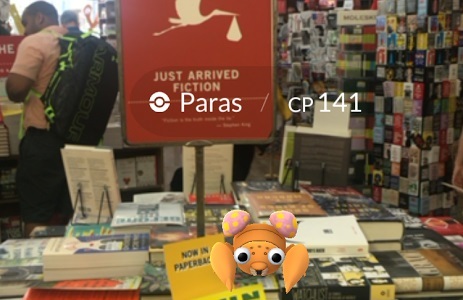 Before Pokemon Go launched last Wednesday, New York City’s iconic Strand Book Store had no idea it was about to be listed as one of the game’s "Poke Stops." However, Whitney Hu, the store’s communications director and a self-described "avid Pokemon fan," made the connection right away and planned ways the Strand could capitalize on the situation. Poke Stops are locations where users can collect game items, so the Strand’s status gives consumers, and Pokemon players, an incentive to drop by, Hu said. "We are such a cultural institution in the city, and we have such a large footprint that this gives us another way to work with our community and bring in some new faces, people who might just walk right by us," she said. "If you are from out of town, you might not necessarily think of going to a bookstore." However, just being listed as a Poke Stop did not result in an onrush of customers. Hu said it took a couple of days before she noticed a lot of tweets about the Strand being included in the game. Many users mentioned that the bookstore was a hotspot for the Pokemon species Bulbasaurus and tweeted about finding them within the stacks. "By the weekend, when I think everyone had time to run around, we noticed a lot of people standing outside by the book carts or walking in and out of the store," she said. "I realized it hit momentum where everyone in the city was doing that." Hu couldn’t provide a specific or even a ballpark number of new patrons Pokemon Go has brought to the Strand. (After all, it isn’t easy to identify people who are playing Pokemon Go verses doing something else on a smartphone). Yet since this past weekend, she said she can single out at least three people who are playing the game "because their hands are hovering around" every time she is on the sales floor. "I wouldn’t be able to tell you how many people it has brought in," Hu said. "It is hard to tell because we are hitting our summer tourist hours. There has been just an uptick, period." She added that the Strand is subtlety trying to take advantage of the opportunity. "I am trying to figure out the best way to market it without seeming gimmicky," Hu said. "We want to organically connect with current trends; we never want to seem like the old person in the room trying to hop on, not accurately using a meme." Hu posted across the The Strand’s Instagram, Twitter, and Tumblr pages on Sunday, telling players that they can restock on Poke Balls at the bookstore. The post has been best received on Instagram, garnering 1,258 likes and 43 comments, with some commenters saying they plan to visit the store. The Strand also activated a Lure Module on Tuesday afternoon and posted on social media about it. A Lure Module, which can be purchased for $10, attracts Pokémon Go players to a Poke Stop for 30 minutes. Hu said her team also created a Pokémon Go beginners’ book list, which the bookstore will post on its social media pages and include in its weekly newsletter on Thursday. In store, she plans to engage consumers with signs including comments such as, "Bulbasaur last seen here two hours ago." Fortunately for Strand employees, people playing the game in-store have not bothered other customers, according to Hu. The Strand’s manager has not yet communicated with employees about how to handle such a situation. "I think just because of the way our store is built, if [Pokémon Go players] were trying to go behind the registers, we might have more caution," said Hu. "But there is so much room to run around and find corners that we haven’t had that conversation yet. Most of our employees know more about it than our managers do, anyway."